Tcl (Tool Command Language) is a very powerful but easy to learn dynamic programming language, suitable for a very wide range of uses. Rexx is a programming language that was designed to be easy to use for inexperienced programmers yet powerful enough for experienced users. wxBasic is a Basic interpreter for Linux and other platforms. It combines the simplicity of Basic with the portability of the cross-platform wxWindows library. SISC is an extensible Java based interpreter of the algorithmic language Scheme. Jason is a fully-fledged interpreter for an extended version of AgentSpeak, a BDI agent-oriented logic programming language, and is implemented in Java. ECL (Embeddable Common-Lisp) is an interpreter of the Common-Lisp language as described in the X3J13 Ansi specification. 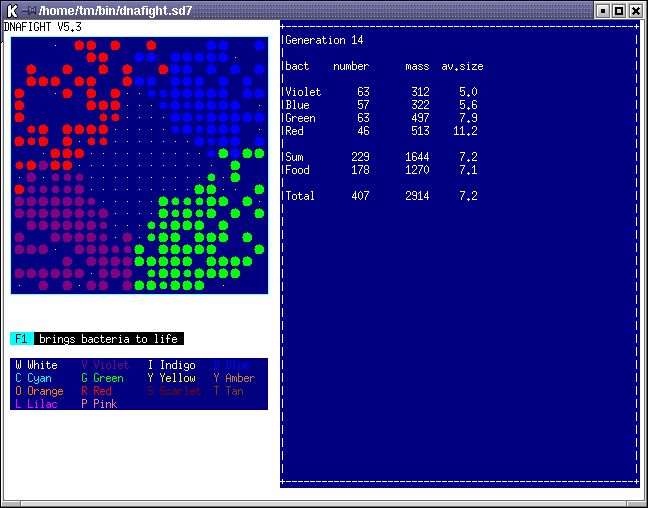 X11-Basic is a Basic interpreter with full X11 graphic capability. The syntax is most similar to the old GFA-Basic ATARI-ST implementation. JLog is a Prolog interpreter written in Java. It is fast and perfectly suited for education. It is available for Linux and other platforms that use Java. 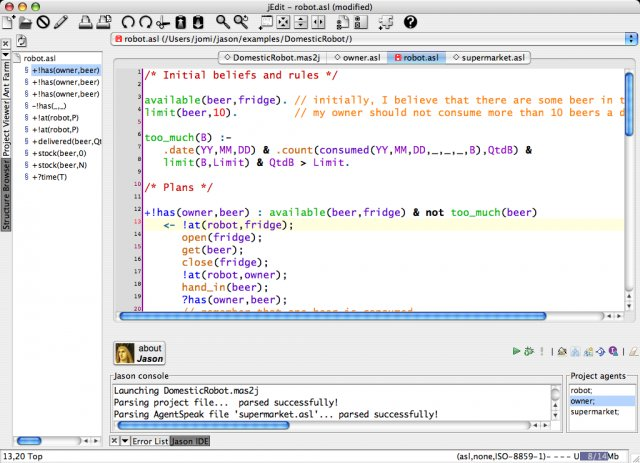 ObjectScript is a general purpose object-oriented programming language. It is designed to be simple to learn, easy to use, yet still powerful. LuaCheia is a full-blown, enhanced version of the Lua interpreter. Seed7 is a general purpose programming language for Linux that is a higher level language compared to Ada, C/C++ and Java. 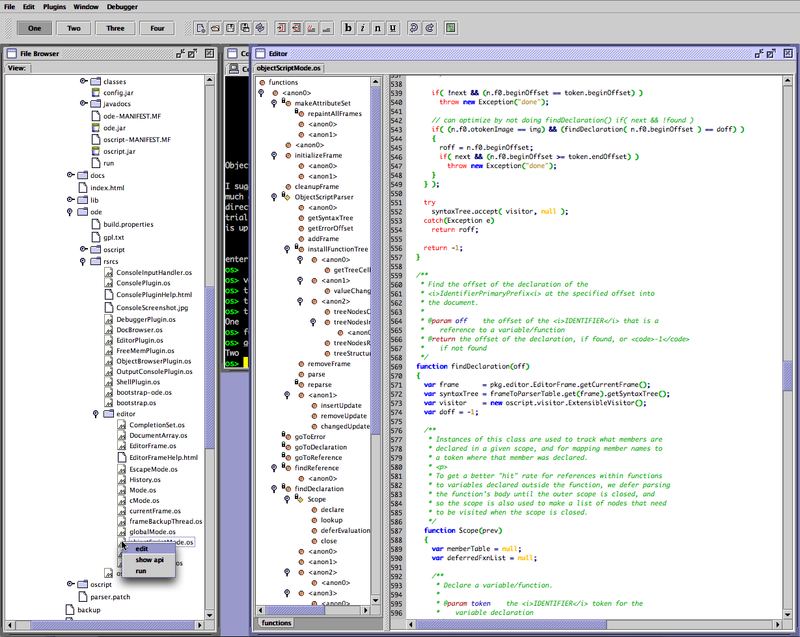 SchemeWay is a set of Eclipse plugins for the Scheme programming language. It features a powerful, fully extensible S-expression-based editor. PROSE is a programming environment for Linux and other platforms designed to simplify the development of small and large-scale networked software applications. JACL is an interpreted computer language for writing text adventure games or interactive fiction. It works for both Linux and Windows. Retro is a dialect of Forth. It's not compliant with any of the numerous Forth Standards, but it does have a small and active user community. 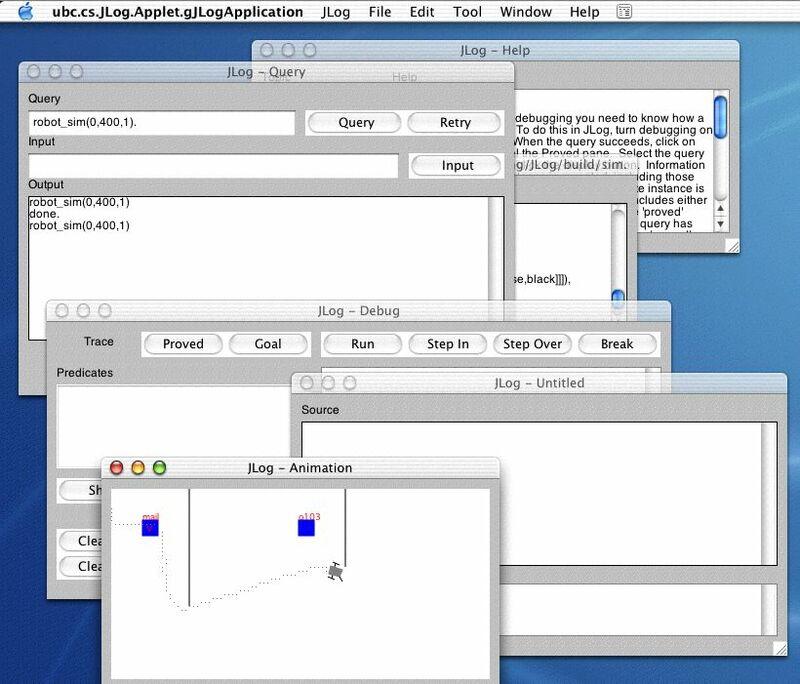 Otk is a portable widget library for making GUI's for software programs. It emphasizes simplicity without eliminating capability. It supports Linux, Windows, etc. Ctalk is a programming language that adds object oriented programming features, like classes, methods, operator overloading, and inheritance, to C programs. Logtalk is an object-oriented logic programming language for Linux that can use most Prolog implementations as a back-end compiler. GNU Octave is a high-level language for Linux and Unix-like systems, primarily intended for numerical computations. Thinknowlogy is a software capable of "understanding" the hidden logic in natural language. Supernova is a modern scripting language and the first one that presents the concept of programming with direct fiction description using a clear subset of pure Human Language. Unified Parallel C (UPC) is an extension of the C programming language designed for high performance computing on large-scale parallel machines.